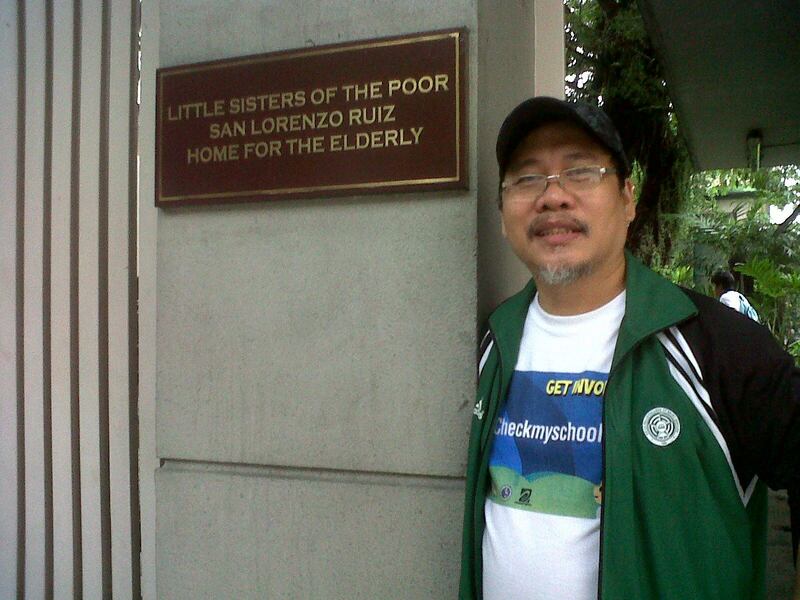 Sir Antonio Ingles, Jr., DLS-CSB professor and founder of Aral Pinoy at San Lorenzo Ruiz Home for the Elderly in Manila – 2012. 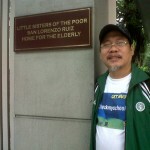 Meet Antonio Ingles, Jr., Ph.D., a full time faculty member of the School of Multidisciplinary Studies at De La Salle-College of Saint Benilde (DLS-CSB) who through his nonprofit organization’s endorsement, Aral Pinoy, recently helped start this website for The Little Sisters of the Poor, San Lorenzo Ruiz Home for the Elderly. As one of many ways to advocate for our facility in Manila, he also created a Facebook page, so people can keep up with our activities, including the volunteer work he and many of his students participate in. What a fine way to help us serve the needy elderly. Perhaps in the future, because of broader exposure, we will be able to expand and serve more of the needy elderly in the Manila area.